Cardiff Beauty Blogger - Sindyydoll ♥ Makeup - Welsh beauty blogger - British Beauty Blogger: Boots premium beauty star offer: Nails Inc ! Boots premium beauty star offer: Nails Inc ! 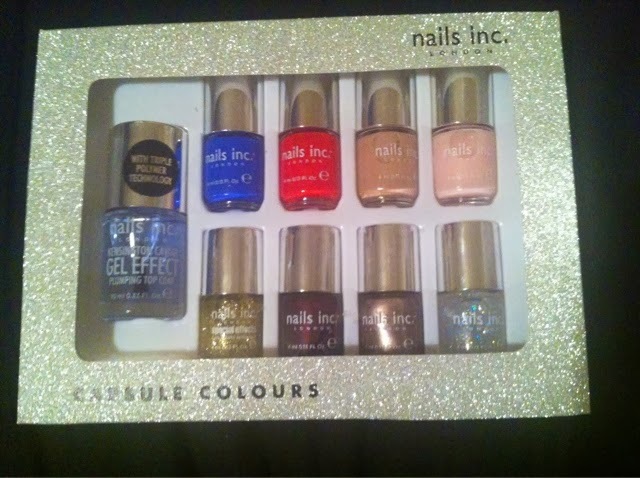 This set of Nails Inc Capsule Colours has been reduced to £25 from £57! It will be on sale until Thursday 12th December 2013 or until stock runs out. You get 8 4ml colours, perfect for trailing colours, as stocking fillers or as nail varnish to go, and a full size Kensington Caviar gel effect nail polish. Pixi holiday collection mini review! Pixi Beauty Redness Reducing Primer Review!